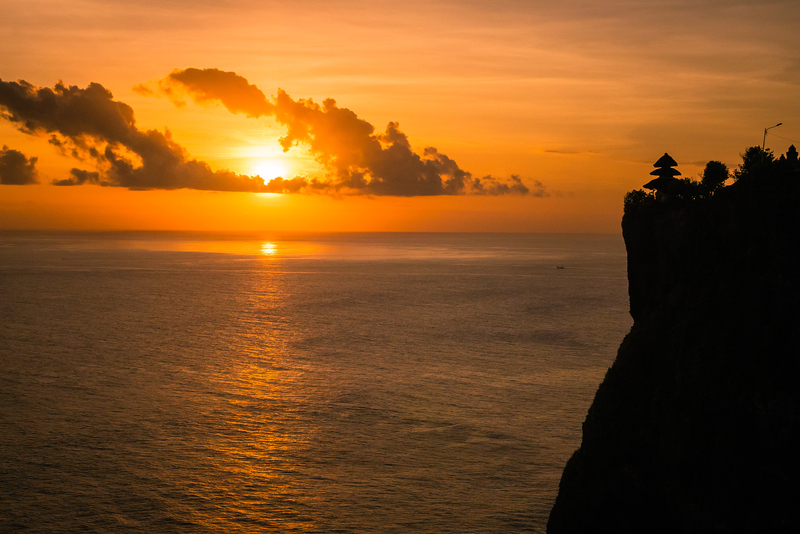 Uluwatu Temple is one of the top places on the island of Bali to go to for sunsets. With views overlooking the Indian Ocean, it holds daily Kecak dance performances. Considered one of the six key temples believed to be Bali’s spiritual pillars.